When you are a landlord, you can either hire out all the maintenance, or do some of them yourself. I do much of it myself, and it saves a TON of money. When you are in doubt about how to fix an item, odds are, there is someone out there, with a YouTube video, who has dedicated their life to helping you fox the issue. 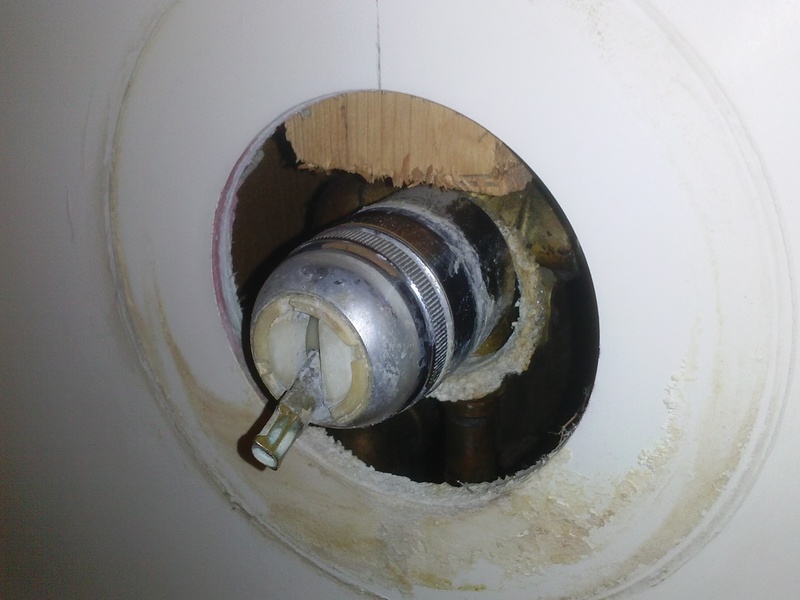 The tenant said her bathtub/shower faucet would not shut off. It worked, but when it shut off, the water would still run. I immediately assumed it was a drip, and she said it was more than a drip. It was not the full force of water, but more than a drip. I asked her if it was leaking before today, and she said no. She said she had to close the bathroom door the previous evening so she could sleep at night, as it was a bit loud. “Yikes, this could be bad” was in my head. So, a leaking shower valve. Not really a big deal; they can be a 5-minute job, or a larger pain. When you have people in a unit, a larger pain can potentially become an emergency pain. So I was just a bit concerned, but not overly. Water leaking is costing you money. Even if it is going right down the drain. If it was going on the floor, and coming through the downstairs apartment ceiling, even worse. When I got there a couple of hours later, the tenant was not home and she had already given me permission to fix the issue. Prior to leaving my house, I looked up my key code that I had on file with her, and brought the right entry key. This is important. I log all my keys in a spreadsheet and stamp all the “do not duplicate” keys with a unique code. I have a label above each lock, which is also moved with the lock when I change locks. All my locks are Schlage, I have only one type of lock. All use the same blanks, so I can cut my own keys easily. If you do not have the right equipment, tools, apartment keys, etc., a simple job can quickly last all day. I loaded a couple of tools from my home toolbox that I use to replace Moen shower valves. 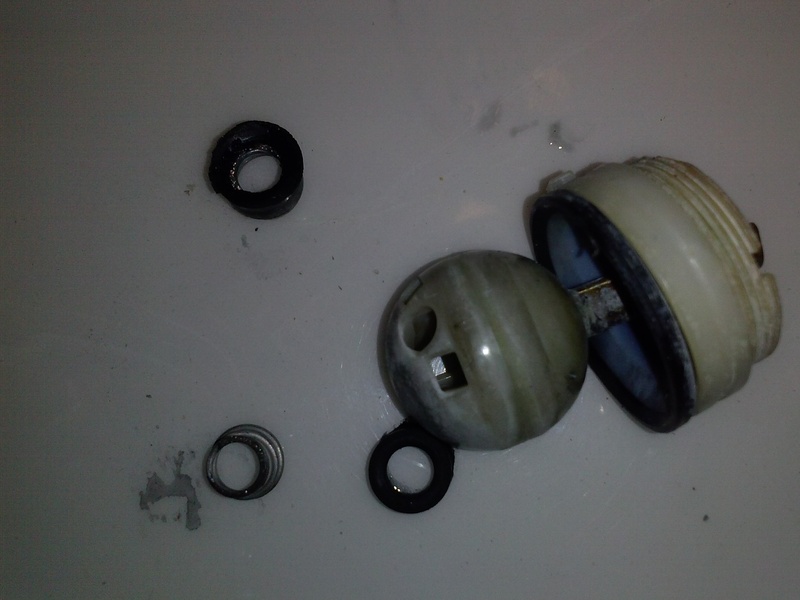 I knew that it was a Moen shower valve, so on my way over, I stopped at Home Depot and picked up a new valve stem. Home Depot is about half-way between my rentals and my home, and I pass right by it, so it is easy to stop there. This is an inexpensive fix, less than $20 for a Moen valve stem. If it goes easy, it takes about 10 minutes, likely less. 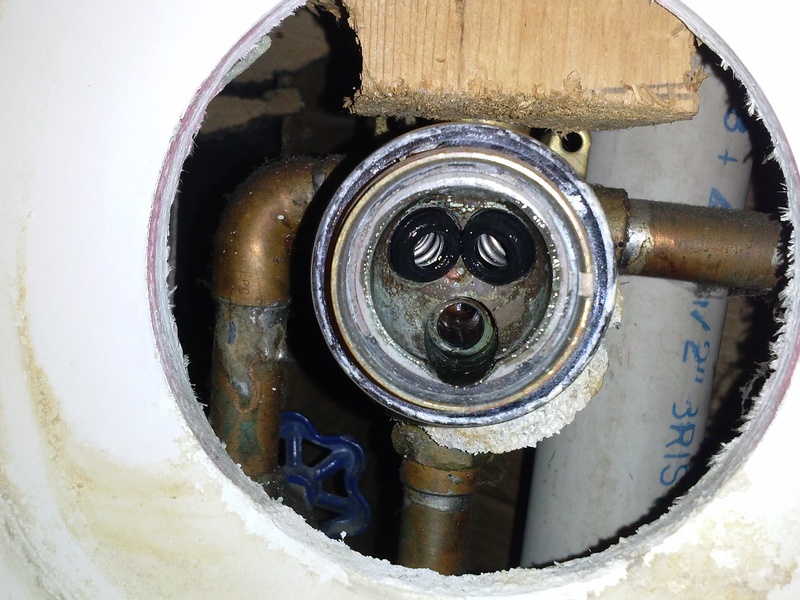 If it if going to require an entirely new shower valve, it may take several hours. When I arrived, I noticed that the water was a steady stream, probably about a gallon every 3-4 minutes. Not too bad, but certainly not good. 360 gallons of water a day, for only a day will not break me, but will add up quickly if it goes on for a month. I also saw that it was hot water, so it was also causing my tenants gas bill to increase. That is not my expense, but I do not want to address that issue either. The second thing I noticed was that it was a Delta shower valve, not a Moen valve. I was all set for Moen, and now I have the wrong tools and the wrong replacement cartridge. Luckily, there were no women or small children around. I have never fixed a Delta valve, so I have to overcome that hurdle too. This is turning out to be a bit more work than I wanted. I scrambled back to Home Depot, which is only about a mile away, and ask the plumbing guy what I needed. I had a few pictures on my cell phone to make sure I could get the right part. He pointed me to the right repair kit, and explained the method to change them. He did suggest I could get by with less parts, sine some of the parts that I needed to take off would likely still be good. I bought the repair kit consisting of several seals and springs, and also purchased the ball that fits up against these seals. The expense of a rental repair is getting over there, and doing the actual work, the expense of the parts is inconsequential. Tip: ALWAYS bring pictures to the store when you are buying parts, there may be several different types of replacement parts and this could save you lots of time. I attempted to shut the water off to only the shower valve. I had to remove multiple pots, pans, shelves, plastic storage containers, and other stuff that has not been seen by a human being in years, etc. to begin my crawl under the kitchen cabinet; it was a wasted effort. The gate valves were frozen from lack of use. Crank a wrench on a frozen gate valve, and you may be replacing that valve too. Or it might work. Or it may just leak. So I shut the water off in the entire 4-plex. Luckily two tenants were out, so it was not a big deal. When making the fix, I had a difficult time removing the chrome ring over the top of the valve. It is a beauty ring, but still an integral part of the valve. Scratching it is not going to affect its performance, but breaking it means another trip to the store. Twisting the valve too much and breaking the actual valve or causing a leak, and you need a new shower valve and now have an emergency. So I went to my smart phone and googled a bit. 4G is great, although not as good as a home line. You have to be patient. After a few minutes, I found someone that had dedicated their life to helping me on YouTube. He said to bang on the sides of the ring, and it will break loose. I banged what I though was quite a bit, and pretty hard, but still no luck. I tried harder, and more, and it finally broke free. All the years of hard water seemed to make the threads a bit tight, the lime needed to be broken loose. And there is no way to see the threads without taking it off. I carefully removed the ring, disassembled the parts and replaced them. All in all, maybe a 5-minute fix, but now I had about an hour+ into the job. I turned the water back on, and tested the functionality of the valve. Perfect fix. I then texted the other tenants in the building that the water was back on. 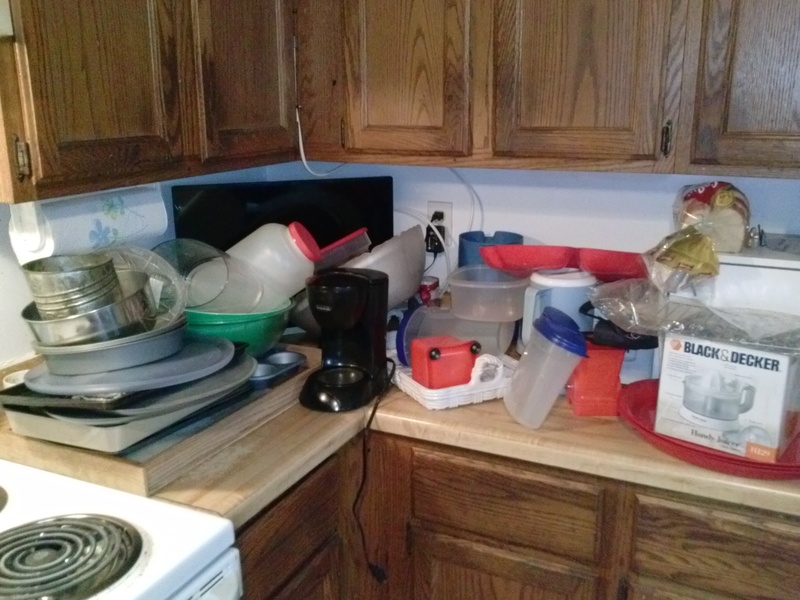 I texted my tenant that the valve was fixed, and she would have to put back all the pots, pans, plastic containers… I even sent her the picture of the stuff I had to remove. My actual cost for this fix was about $20.10, plus about an hour’s worth of time. If I had the right part to begin with, it would have been about 15 minutes. It saved probably $200+ if I hired a plumber. It was also faster with me doing it, a plumber might have scheduled it for a different day. It was a Saturday, so maybe it would have been an extra charge if they came that same day. 250 West Main St. Ave.
Disclaimer: All information deemed reliable but not guaranteed. All properties are subject to prior sale, change or withdrawal. Neither listing broker(s) or information provider(s) shall be responsible for any typographical errors, misinformation, misprints and shall be held totally harmless. Listing(s) information is provided for consumers personal, non-commercial use and may not be used for any purpose other than to identify prospective properties consumers may be interested in purchasing. Information on this site was last updated 09/21/2015. The listing information on this page last changed on 09/21/2015. The data relating to real estate for sale on this website comes in part from the Internet Data Exchange program of Wheeling MLS (last updated Mon 09/21/2015 2:45:26 PM EST) or Tri-State MLS (last updated Thu 08/06/2015 8:35:21 AM EST) or NEOHREX (last updated Mon 09/21/2015 3:45:01 PM EST). Real estate listings held by brokerage firms other than Harvey Goodman Realtor may be marked with the Internet Data Exchange logo and detailed information about those properties will include the name of the listing broker(s) when required by the MLS. All rights reserved.